Are you guys mad at me? I hope we can still be friends, despite the fact that I've been THE worst. But I feel like, or at least I'm hoping, that we have one of those relationships that we can pick up where we left off. Kind of like I never left? Kind of like I wasn't being a crappy blogger? Good. Glad we are on the same page ;). 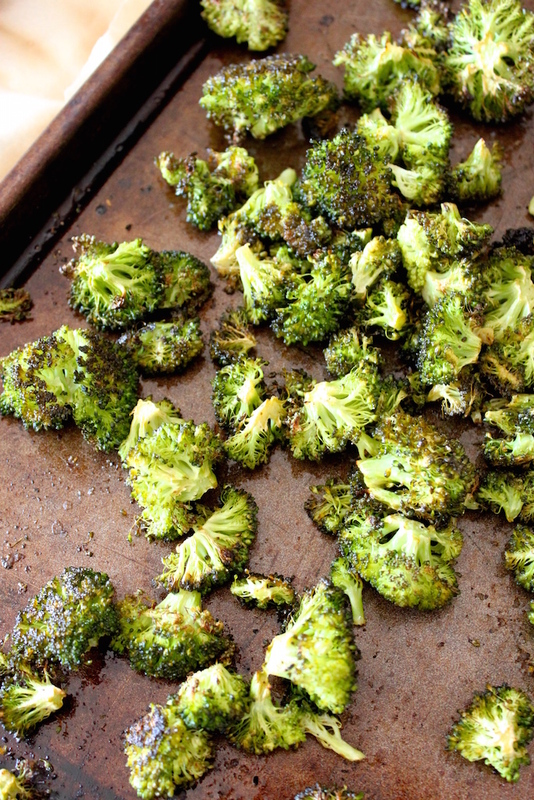 I've had this Lemon Roasted Broccoli Recipe sitting on my computer desktop for a long time just begging to be shared! I usually make a version of this once a week, and I've played around with the flavors a lot too. So far, my kids AND my husband eat this every. single.time. Like I said, it definitely needed to be shared! Broccoli has always been a safe vegetable in our family, and if I want to feel like super mom I will whip up a batch and proudly watch my kids eat those little trees. Ignore the fact that they called the chicken I made disgusting, that's not important. Coat the broccoli with olive oil, just a few TB. until the broccoli is lightly coated. Sprinkle with a good amount of salt and pepper, and then the lemon juice. What's the one vegetable your family enjoys eating?! We've had a great and relaxing summer, as I hope all of you have! I've been learning the ropes with 3 littles, and each day brings new, exciting, AND crazy moments! Just recently, as in this week, our little baby started to sleep more solidly. (AKA that's why I'm able to blog right now.) She falls asleep and stays asleep for longer than 30 minutes!! I also had my two older kids start school, so I feel like a whole new woman! I'm hoping I can maintain a better blogging schedule! !